Think of it this way. Just as you need a computer to “host” your word processing software, you need a computer to “host” the software that makes your website work. And since your local Internet Service Provider does not want you taking up bandwidth by having the whole world connecting to the computer sitting in your house, you need to lease some space somewhere remotely. So when you sign up for hosting, you’re leasing a server, which is basically a computer, that sits in a datacenter somewhere “hosting” your website for you and keeping it connected to the entire Internet around the clock. There are tons of companies that offer cheap website hosting. Some offer packages as low as $5 per month. When you do a bit of research, you learn that the $5 plan usually is only intended for small sites with light traffic and your site may share space with thousands of other websites on the same server, using the same resources. If you want to go with a $5 to $10 plan, go with the best! Go with SiteGround! 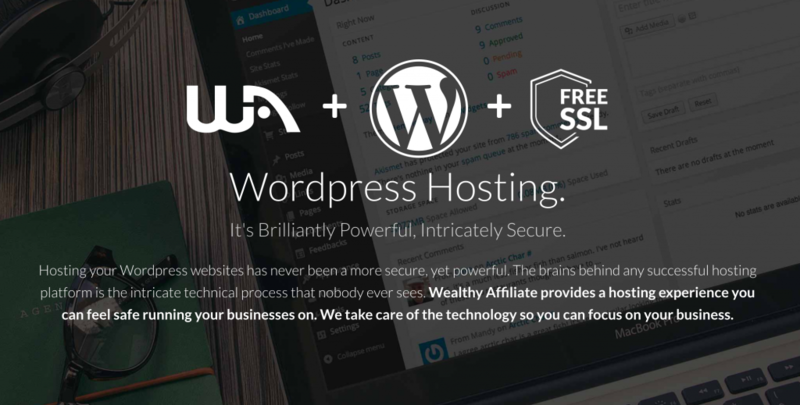 Then, there are more premium hosting providers that offer better, more robust solutions specifically tailored to the needs of a WordPress-powered website, such as Flywheel and WPEngine. These companies offer a much more personalized support experience and a more focused experience. Again, they’re good options. But I’m suggesting a third option that I personally use and am very confident in. In other words, SiteRubix is better than having your own Virtual Private Server and, when it comes to redundancy and security, it’s better than having a dedicated server, too. What is especially nice about SiteRubix is that you can try it out and kick the tires before paying anything for it or turning over any credit card information. In the box below, pick a name and click the button. You wouldn’t want to use something like yourchurch.siterubix.com as your permanent domain name, obviously, but it will let you set up an account and experiment before making a final decision. SiteRubix’ hosting package is built into the Wealthy Affiliate community platform. No, it’s not a multi-level marketing thing or a get-rich-quick scheme. It’s essentially an online learning community for people who want to build websites and online businesses. There are classrooms that walk you through the setup of your site, teach you all the in’s and out’s of WordPress, and a community of encouraging enthusiastic people (about 850,000 people are members). And if you’re just not into that kind of thing, no worries. It’s still the best route to go for website hosting!